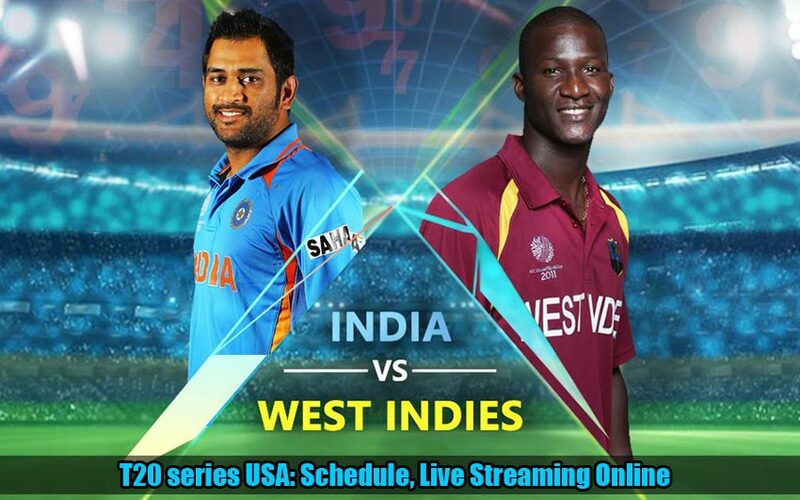 India vs West Indies: The both strongest T20 Cricket team will face each other in Florida on August 27, 2016. The T20 series consist of two matches in the USA. Here we listed the Live Streaming updates along with the Schedule, Fixture. Also, here you get the Team squads of both. Both of the Matches will be played at this weekend on 27th and 28th of August. Here we can watch the most interesting matches on this both days. Both of the team had the strong squads as the more powerful players are returning to the West Indies. So, we expect the Blue and Brown Sixes and Wickets on Green Ground. In the USA, the most famous and addictive games are baseball, basketball, American football and ice hockey. In this list, there is no Cricket. For growing this game outside of its border, it is a better way to play a game on US land. Both of the team had the strong line-ups as a fantastic opening batsman, fast bowlers, and spinners. Here we provided the squad list for both of the team. India: MS Dhoni(Captain), Rohit Sharma, Shikhar Dhawan, Virat Kohli, Ajinkya Rahane, Lokesh Rahul, Ravindra Jadeja, Ravichandran Ashwin, Jasprit Bumrah, Mohammed Shami, Bhuvneshwar Kumar, Umesh Yadav, Amit Mishra, Stuart Binny. West Indies: Andre Fletcher, Andre Russell, Carlos Brathwaite(Captain), Chris Gayle, Dwayne Bravo, Evin Lewis, Jason Holder, Johnson Charles, Kieron Pollard, Lendl Simmons, Marlon Samuels, Samuel Badree, Sunil Narine.